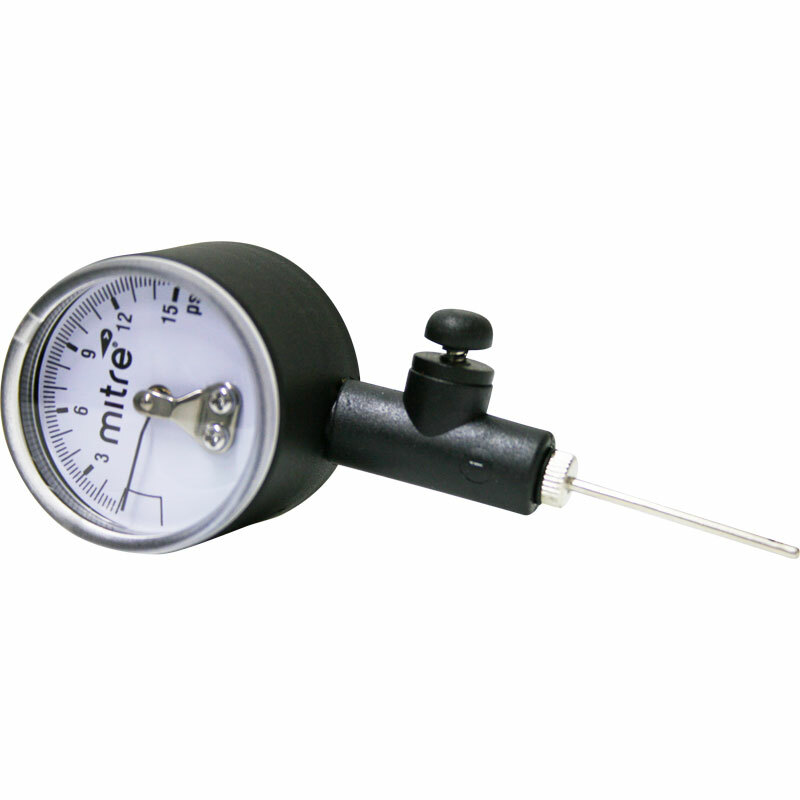 The Mitre ® Ball Pressure Gauge is a must have item for checking the pressure of any inflatable ball. Comes complete with 7mm inflating needle. It features an air release valve to easily adjust pressure of over-inflated balls and the dial reads both KG and PSI. Handy little pressure gauge which takes all the guessing away. Keep it with ball pump to help keep all balls at an even pressure. Good value for money gauge. Takes any doubt away as to wether your footballs are at optimum pressure. Simple to use. The modern light weight football requires accurate pressure control. The mitre pressure gauge provides a quick effective method of measurement for all kit personnel to use.